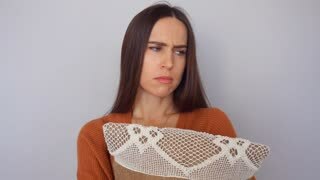 Search Results for "unhappy woman"
Unhappy woman making a credit card which dictates man. 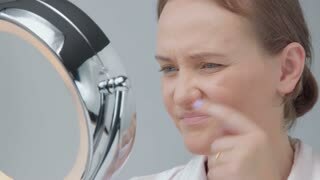 Reflection of unhappy young woman looking at her face in the mirror. 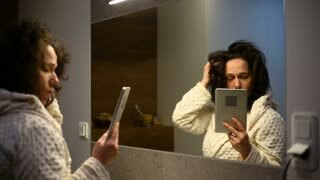 Depressed brown hair female evaluating herself, disliking and not accepting her appearance. Sad girl is body negative.